Maybe not everyone knows that among the many collaborative initiatives in which IFAD takes part, there is also the One UN Training Service Platform on Climate Change better known as UN CC:Learn. Knowledge Management and Networking – fostering sharing of information, experience and lessons learned in matters of climate change learning. Development of a One UN Climate Change Training Package - aiming at producing a coherent package of materials relevant for climate change learning through collaboration of UN agencies and other partners. Human Resources, Learning and Skills Development in Partner Countries - supporting countries in taking a strategic and results-oriented approach to climate change learning through the development of a National Strategy (5 pilot projects currently underway). These three areas of action contribute to the implementation of Article 6 of the UNFCCC, which calls on governments to develop and implement education and training programmes, including the strengthening of national institutions, training of scientific, technical and managerial personnel as well as implementing public awareness programmes on climate change and its effects. 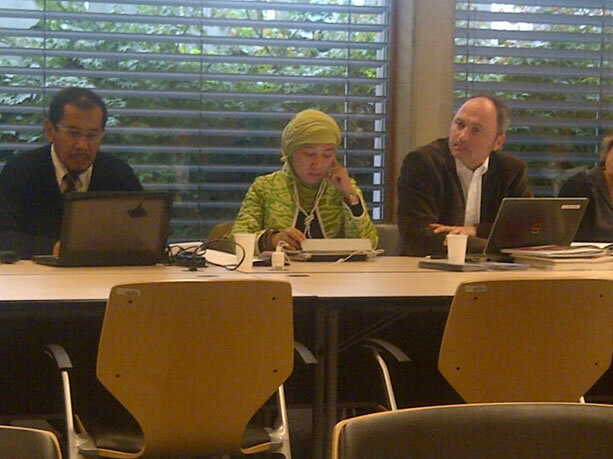 The third UN CC:Learn Steering Committee took place last week in Geneva. It was an intense two-day meeting involving a large and diverse group of UN agencies, such as WHO, WMO, UNESCO, ILO, UNDP, UNEP, UN-HABITAT - and of course UNITAR as hosting agency - as well as representatives from the five pilot countries Benin, Dominican Republic, Indonesia, Malawi, Uganda. The meeting started with a high-level opening session with statements by Ms. Sally Fegan-Wyles, Assistant Secretary-General of the United Nations, Director ad interim, UNITAR; Ms. Phyllis Lee, Secretary, High Level Committee on Programmes (HLCP); and Dr. Elena Manaenkova, Assistant Secretary-General at the World Meteorological Organization (WMO). 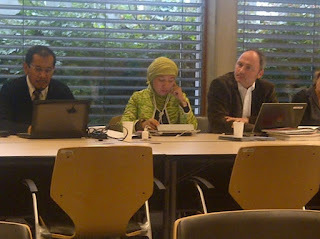 The discussion addressed initially the Knowledge Management and Networking area, focusing on technical issues related to the Library of UN Materials Relevant for Climate Change Learning, such as planned improvements for the searching functions. The Library contains over 1,000 entries and provides a one stop window to search for and access materials prepared by UN organizations (including IFAD) relevant to climate change learning. In addition to that, UN CC:Learn facilitates access to other learning resources outside the UN, as well as joint UN capacity development initiatives and learning platforms. This is really an amazing knowledge repository that I am still discovering! The Steering Committee then discussed the One UN Training Package, comprising Introductory Learning Modules, that can be used for awareness raising purposes, and a series of Advanced Learning Packages to support in-depth learning on particular topics. They are at different stages of development and, once available, some of them will have a great potential to support IFAD capacity building work on climate adaptation. What I found especially interesting in the discussion that took place around any single item touched by the Steering Committee was the multiplicity of existing perspectives around climate issues and how they are all equally important. Climate change impacts, in fact, are felt not only on natural resources and agriculture, but on health, labour, cities, infrastructures, population dynamics, etc. In this context, it was good to see the collaborative approach adopted by the participating agencies where each of them had something to bring, in terms of knowledge, expertise, sharing of experience to support strengthening of human resources, learning and skills development to address climate change. Agriculture, however, featured quite high on the agenda on the Programme Area 3 as the majority of partner countries where pilots are implemented are experiencing the extreme vulnerability of the agricultural sector and identified agriculture as a priority in their national plans. IFAD can definitely provide support to capacity building on climate change and agriculture, however, an integrated approach to climate change should allow for the participation and coordination of all sectors, and this is where the be interest of being a member of UN CC:Learn is.